Formerly known as Liverpool Victoria, the company rebranded as LV= in 2007. Since then, the LV= brand is now recognised for being modern and vibrant and well placed for an even more successful future. A testament to their success is that they have over 5.7 million customers, of which 1.1 million are members. Furthermore, within life and pensions, they are the top provider of individual income protection in the advised market and a leading provider of enhanced annuities. Although the company is very forward-thinking, to say that the company has been around for quite a while is an understatement. LV= was founded in Liverpool in March 1843, with the aim to help people on low incomes maintain a standard of living for their families and save for their funerals so they didn’t burden their families with this expense after they had passed away. 173 years on, the LV= Group employs over 6000 people. 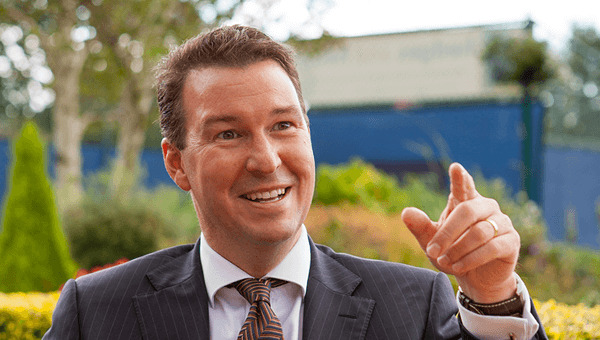 The Life and Pensions area that Rowney controls has over 1,000 employees based across main centres in Bournemouth, Exeter and Hitchin plus a network of regional offices. As you can imagine, managing such an enormous team can be quite a daunting task. However, Rowney believes that the degree of specialisation is what allows them to perform so well. “We help our customers protect their health, wealth, family and wellbeing,” says Rowney. “To do this we specialise in a number of areas. Firstly, our Retirement Solutions business covers our retirement and investment businesses, from pensions and annuities to equity release and bonds. It was in 2007 when Rowney joined what was then known as Liverpool Victoria, where he was instrumental in their rebranding as LV=. LV= ‘s position as leaders in their industry is something Rowney takes great pride in, and as such he is constantly ensuring that the company is always embracing any new technology or trends that come along the way. “Our continual challenge is to utilise digital technology,” says Rowney. “We’ve made great strides into embracing digital, but technology progresses quickly, so it’s important for us to continue to move at pace to be at the digital forefront – replacing our legacy systems enabling us to become more efficient and easy to do business with.” Alongside the continuing developments in technology, there are also challenges facing Rowney in the retirement industry too. Despite these challenges, Rowney remains optimistic that they are more than capable of meeting the demands of their industry. A motivating factor for him is receiving recognition from Wealth & Finance magazine, which he believes is further evidence of their success. Savers currently benefit from tax relieved pension accrual up to the annual allowance of £40,000 for the 2016/17 tax year. However, from 6 April 2016, individuals with “adjusted income” greater than £150,000 will have their annual allowance reduced by £1 for every £2 of excess income. An individual with adjusted income of £210,000 or more will have their annual allowance tapered down to the minimum of £10,000 for that year. However, individuals, including additional rate taxpayers affected by the taper, can carry forward any unused allowance from the previous three tax years to increase the tax relief they receive. An individual earning £210,000 or more making a personal net contribution of £8,000 in 2016/17 will benefit from £2,000 basic rate tax relief giving a gross payment into their pension of £10,000, plus further £2,500 tax relief via self-assessment as their top rate of income tax is 45%. • Total overall tax relief (£28,000 plus £35,000) £ 63,000. The case study explores the differences between blended solutions, in which two or more individual products are implemented side by side, and hybrid solutions which offer flexibility and security in one simple arrangement. 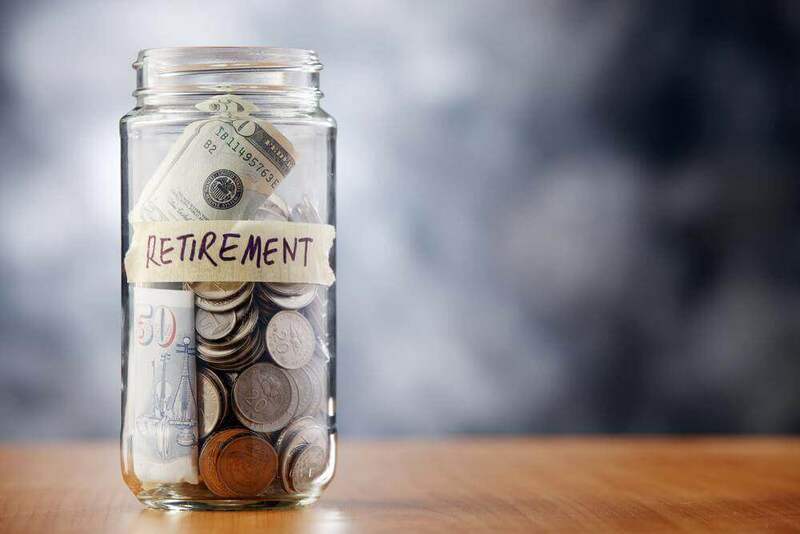 “Numerous studies are continuing to demonstrate that clients value secure income in retirement, but that they are also interested in benefiting from many of the flexibilities introduced by last year’s pension reforms. 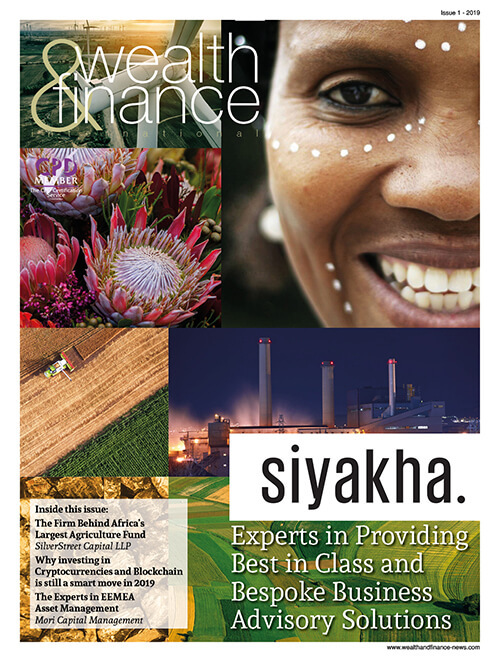 The publication is free to download here. This will ensure public service pension payments to these individuals continue to be equal between men and women. The government is committed to ensuring older people can live with dignity and security in retirement. 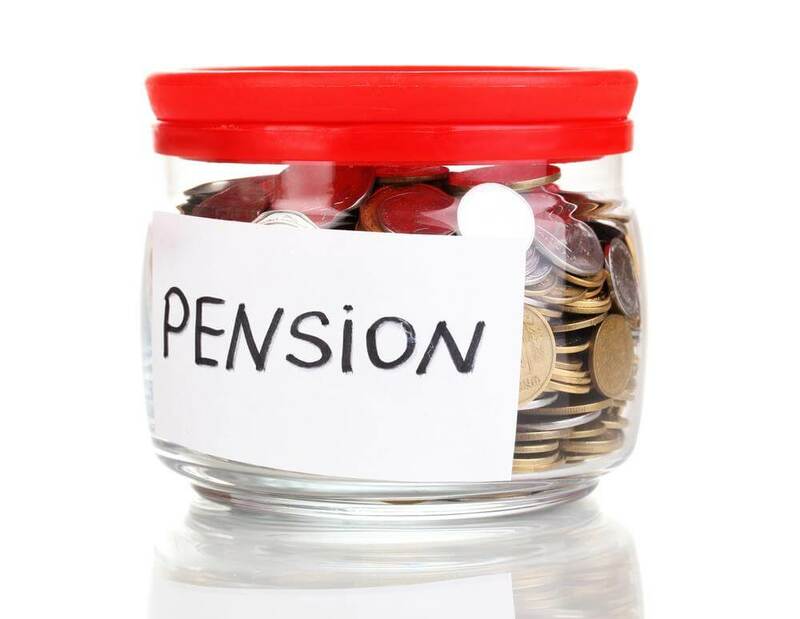 The introduction of the new State Pension in April this year will radically simplify state pension provision, making it easier for ‎people to understand what the State will provide in retirement. As well as simplifying the system, the new State Pension will remove the inequalities in the current system whereby some groups, such as women and the self-employed, tended to build up low amounts of Additional State Pension. As part of these changes, this complicated, earnings related element of the current system, is being abolished. 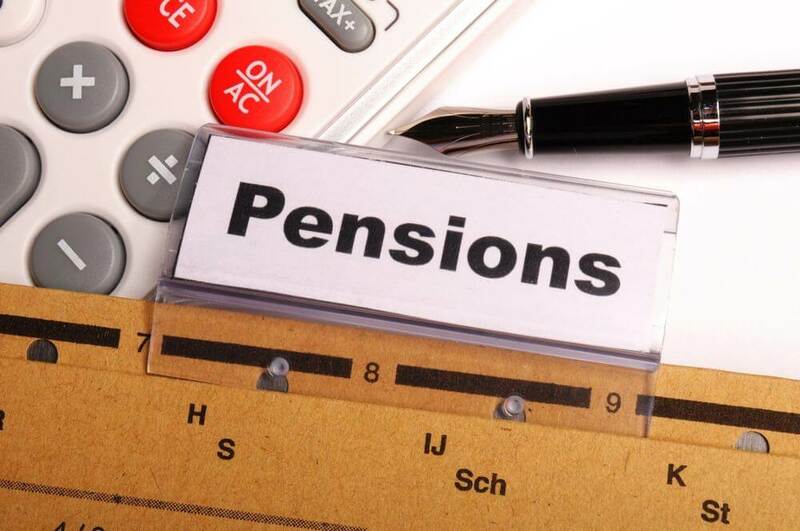 To manage the transition to the new state pension, the government will continue its current practice of directly price protecting the Guaranteed Minimum Pension of public sector workers where the Additional State Pension uprating rules do not apply. The government, as a large employer, has considered how best to address the implications of changes resulting from the introduction of the new State Pension, for public service pension schemes and their members, taking into account historical commitments made by previous governments. The government is expected to launch a consultation this year on how to address this issue in the longer term, recognising the increased value of the new State Pension, and seeking to balance simplicity, fairness and cost for members, public service pension schemes and the taxpayer. For all new OPDU members, the organisation will enrol the Chair of Trustees, free of charge, in the PMI’s Trustee Group for the first year of membership thus promoting even better governance of that company’s pension scheme. The PMI Trustee Group has a strong track record going back to 1994 of supporting pension scheme trustees. More than 3,000 trustees have passed the PMI Award in Pension Trusteeship qualification since it was introduced. Many more have also attended dedicated PMI Trustee Seminars. Changing demographics and trends in health and society mean that developing more inclusive financial products and services is increasingly important the FCA argues. Their Ageing Population Discussion Paper is an important first step in their conversation with firms, consumer groups, and other stakeholders to determine how the regulator and industry can collaborate to address the range of issues facing older consumers, when they engage with financial services. “The number of people aged over 65 in the UK is expected to increase by 1.1 million in the next five years. There is a real and urgent challenge for the financial services sector to develop new and innovative products to meet the needs of our changing population. The FCA is working with stakeholders, including industry, trade bodies, consumer groups, and the public sector to discuss experiences, best practice and potential approaches to the issues raised in this discussion paper. Further research will be undertaken by the FCA to develop a regulatory strategy that promotes better outcomes for older consumers. The strategy will be launched in 2017. Mr Tancred has enjoyed a long and successful career to date in a number of financial and senior managerial positions. He was most recently employed by the British Institute of Facilities Management, latterly as its Chief Executive Officer, where he oversaw a significant growth in its qualifications, membership and profitability. He commences work at the PMI on 1 March, where he will work for a period alongside Mr Linnane to ensure a smooth transition. “I am delighted to welcome Gareth to the PMI team. His experience, enthusiasm and impressive track record make him an ideal candidate to lead the PMI through the next phase of its development. I have no doubt he will provide strong leadership for the Institute though the challenges that undoubtedly lie ahead, positioning it to help its members in addressing the new pensions and savings world that is developing now. People looking to access their pension pot under the new pension freedoms will benefit from easier transfers and more information as the government outlines further action to remove unjustifiable barriers, the Economic Secretary to the Treasury Harriett Baldwin announced today (10 February 2016). Building on the Chancellor’s announcement last month that the government would limit early exit charges for people seeking to access the freedoms, the government has today published its response to the Pension Transfer and Early Exit Charges consultation. • Pension Wise will develop new content on the transfer process, which will include information on likely timescales, what customers need to do and greater clarity on whether financial advice is required. The consultation found that whilst the majority of eligible individuals are able to access their pension under the new freedoms, there are a small but significant number who have been effectively prevented from accessing the pension freedoms because of high exit charges or long transfer times. The consultation found that for Financial Conduct Authority(FCA)-regulated contract-based pension schemes, transfers took 16 days on average, however, TPR data showed that the mean transfer time for trust-based pensions was 39 days, with many consumer survey respondents saying that they had to wait significantly longer for individual transfers. “It is only fair that people who have worked hard and saved their entire lives are able to access their pensions flexibly, without facing any unjustifiable barriers. That’s why we’re taking action to curb excessive exit charges, make transfers easier and ensure people have the information they need to make informed decisions. “Encouraging people to save and helping them on their way to a financially secure retirement is a priority for this government and we need to ensure that the right protections are in place for consumers. The Chancellor announced on 19 January 2016 that the government would introduce legislation to place a new duty on the FCA to cap early exit charges. The consultation sets out that the government will introduce this legislation through the Bank of England and Financial Services Bill. The government will mirror these requirements in relation to trust-based schemes. As part of the consultation the government conducted an online consumer survey – with over 70% of respondents supporting a legislative cap. The pension freedoms, which came into effect on 6 April 2015, represent the most significant pension reforms for a generation. They allow people who have worked hard and saved their entire lives to access their savings how and when they want. Still in its first year, the government’s pension reforms have already seen over £3.5 billion flexibly accessed through nearly 400,000 payments. “The pension freedoms we’ve introduced have been widely welcomed, but we know that nearly 700,000 people who are eligible face some sort of early exit charge.The government isn’t prepared to stand by and see people either ripped off or blocked from accessing their own money by excessive charges. “We’ve listened to the concerns and the newspaper campaigns that have been run and today we’re announcing that we will change the law to place a duty on the Financial Conduct Authority to cap excessive early exit charges for pension savers. The new duty, introduced through legislation, will form part of the response to the government’s Pension Transfers and Exit Charges consultation, and will help people take full advantage of the new flexibilities. FCA data collected through the consultation showed that nearly 700,000 (16%) customers in contract-based schemes who are able to flexibly access their pension could face some sort of early exit charge, including a significant minority who faced charges that were high enough that the government consider that they effectively put them off accessing their pension flexibly. The new pension freedoms, which came into effect on 6 April 2015, represent the most significant pension reforms for a generation. They allow people who have worked hard and saved all their lives to access their savings how and when they want. So far almost 400,000 pension pots have been accessed flexibly under the new freedoms with many providers offering their customers a range of options. The government will shortly publish its formal response to the Pension Transfers and Exit Charges consultation, which also looks at ways of making the process for transferring pensions from one scheme to another quicker and smoother. FCA investigations have shown that 670,000 consumer aged 55 or over faced an early exit charge. Of these, 358,000 faced charges between 0-2%; 165,000 faced charges between 2-5%; 81,000 faced charges between 5-10%; and 66,000 faced charges above 10%. The commitment from the UK’s biggest high street banks will benefit almost 265,000 people in the UK and abroad, including Forces families. 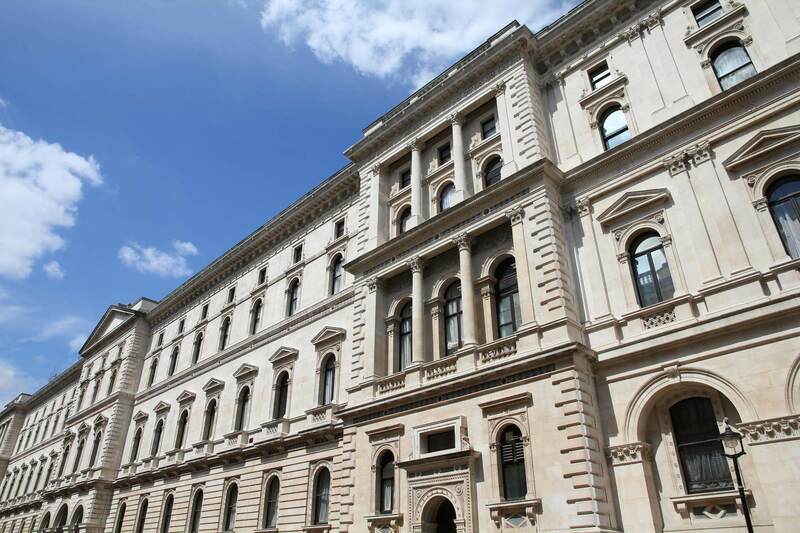 The move comes ahead of an Armed Forces Covenant roundtable meeting of banking chiefs and Ministers at No.10 Downing Street yesterday (Thursday 14 January) where a range of further measures to help service personnel and their families will be discussed. Currently, members of Armed Forces who rent out their homes during deployment have to change their residential mortgage to a buy-to-let mortgage, often incurring new product charges and an increased rate of interest. Under the new agreement they will no longer have to change their mortgage product, saving them time and money. Barclays, HSBC, Lloyds Banking Group, Santander UK, Royal Bank of Scotland and Nationwide – the UK’s biggest building society – will all offer the support. “Looking after your home and your money can be more of a challenge when deployed on operations or serving abroad. This is a welcome first step from the major banks and financial institutions to help our servicemen and women get a better mortgage deal. “I look forward to further pledges from across the financial services sector to support the Armed Forces Covenant after today’s roundtable. 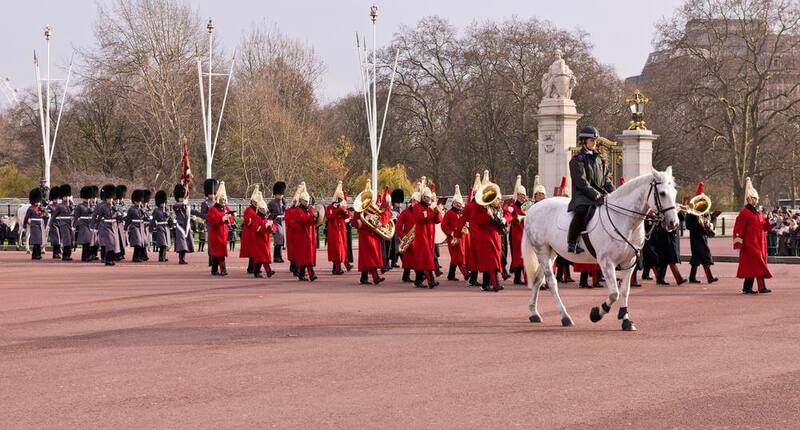 Of the nearly 800 business signatories of the Armed Forces Covenant, 29 are from the financial services sector. Other measures being discussed at the roundtable are aimed at meeting the unique pressures of service personnel and their families, whose jobs require them to relocate and move more often than in civilian life Problems can arise because the financial services sector has difficulty recognising the postcodes of UK military bases abroad – the British Forces Postal Order index provided for free by the Royal Mail – as UK addresses. Time spent serving their country from UK military bases abroad can affect the Forces community’s credit history, and cause difficulties when applying for products that civilians take for granted, for example mortgages and bank accounts. The Forces can also lose out on benefits and cost savings, like no claims bonuses and discounts, which is being discussed with the insurance industry. “What this recognises is that military families often have limited choice in where they are sent to live. They go overseas because the country needs them to. It will mean a lot to those that have bought their own homes to know that the challenges of service life are beginning to be understood by our banks. The FCA collected data from retirement income providers covering an estimated 95% of assets in contract based pensions to enable it to monitor and track changes in the market. The information is helping to inform the FCA’s approach to regulation of the market. The Government’s pension reforms brought about significant changes in the way consumers can access their pensions and the data provides insight into how people are using the new freedoms. • Whether consumers change providers when accessing their pensions. 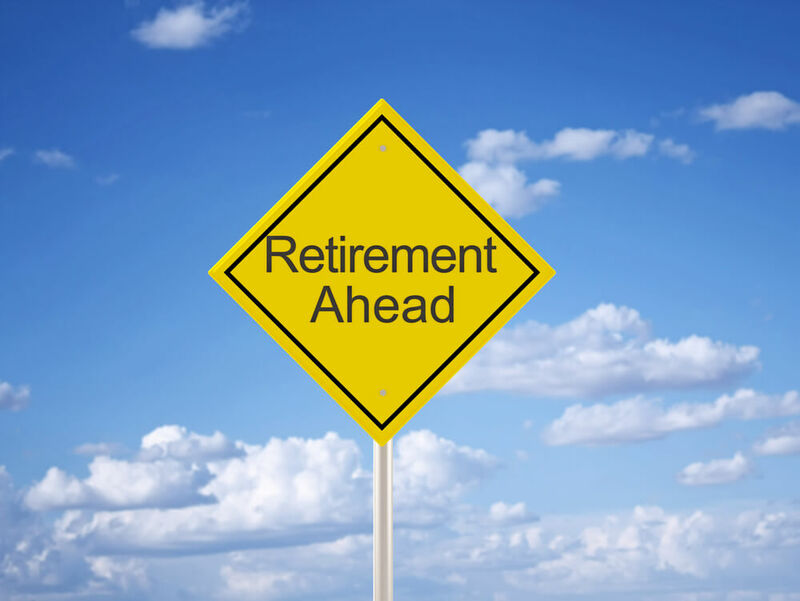 Retirement income market data will be published quarterly. The data published today concerns the second quarter following the pension reforms and may not reflect longer term trends. The survey recently launched looks at confidence and empowerment of female pension savers, exploring attitudes and beliefs about planning for retirement. While the survey is aimed at “Women and Pensions”, we are aware that many factors highlighted in the survey, which influence saving amongst women, also affect other genders. 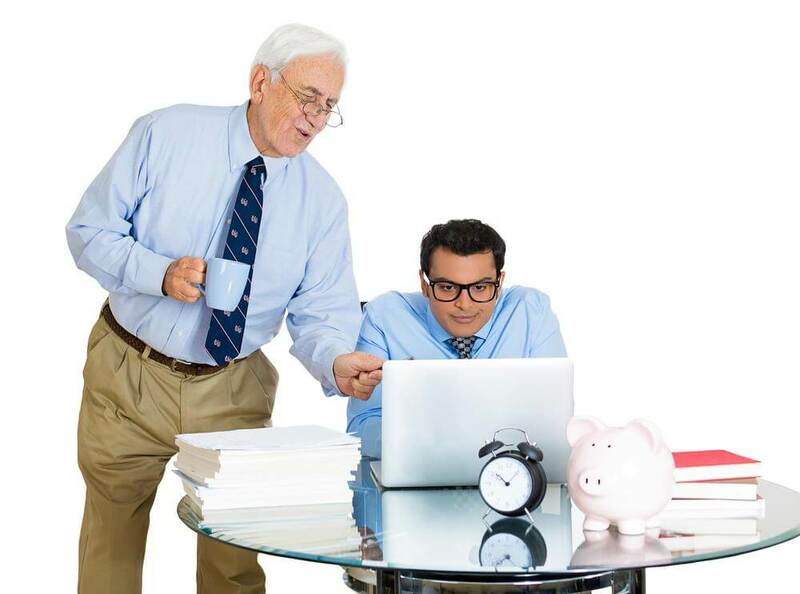 The service therefore welcome views from all genders within the world of pension planning. “We know that women face significant barriers to achieving a good retirement income; on average lower levels of income throughout their working life, impact of career breaks and carer responsibilities and lower levels of confidence around financial products. If you are interested in taking part please click here. Slocum has adopted RiskFirst’s real-time analytics and reporting platform, PFaroe. The investment advisory firm – which serves more than 125 institutional clients with total invested client assets of approximately $120bn – will use PFaroe to help inform strategic asset allocation decisions and implement dynamic de-risking strategies. Emerging markets with funded government pension systems will enjoy important advantages over those with pay-as-you-go systems, according to a report from the nonprofitGlobal Aging Institute and sponsored by the Principal Financial Group®. 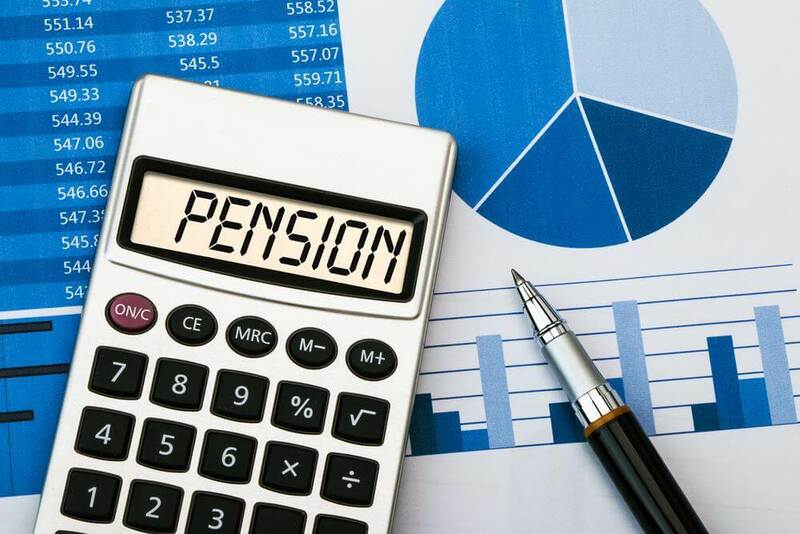 In order to realize their potential, funded pension systems must be well-designed because inadequate contribution rates, restrictive portfolio allocation rules, early retirement ages or the failure to provide for annuitization of account balances can all undermine the model’s adequacy, the report found. Global Aging and Retirement Security in Emerging Markets: Reassessing the Role of Funded Pensions explores how today’s emerging markets will encounter many of the challenges that now confront developed economies, such as rising fiscal burdens, aging workforces and declining rates of savings and investment. The design challenges can be addressed though relatively straightforward policy measures, according to the report. While emerging markets have much greater flexibility to design retirement systems that adapt to new demographic realities, failure to rise to the challenge could result in a humanitarian aging crisis of immense proportions. 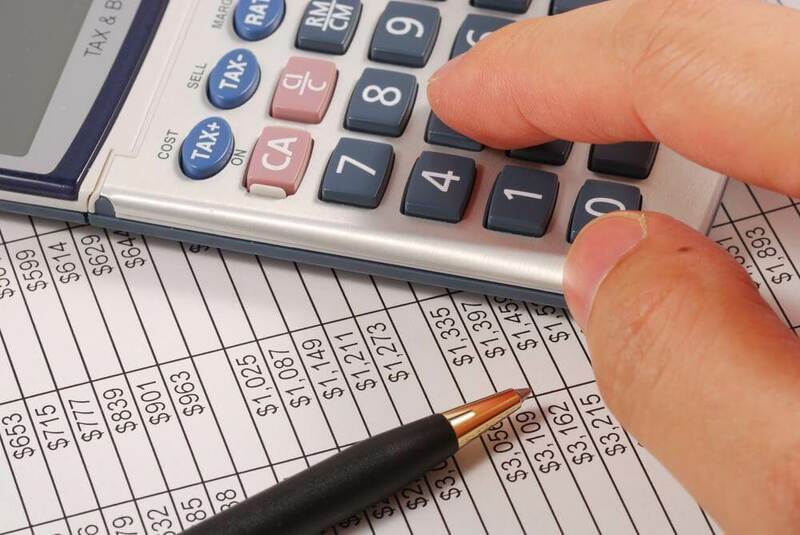 Funded pension systems alone do not add up to a complete solution, the report cautions. Emerging markets also need to support citizens by having a noncontributory old-age poverty protection program. This comes into play for workers who retire with inadequate benefits from their contributory pension system or with no benefits at all, which in some countries is the majority of workers. 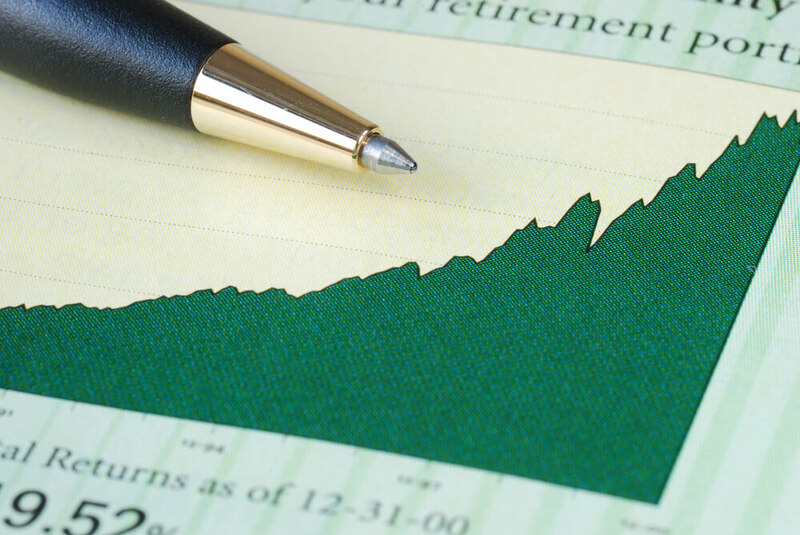 Milliman, Inc., a premier global consulting and actuarial firm, today released the results of its latest Pension Funding Index, which analyzes the 100 largest U.S. corporate pension plans. In October, these pension plans experienced a $25bn increase in funded status based on a $33bn increase in asset values and an $8bn increase in pension liabilities. The funded status for these pensions increased from 81.7% to 83.3%. Looking forward, under an optimistic forecast with rising interest rates (reaching 4.26% by the end of 2015 and 4.86% by the end of 2016) and asset gains (11.3% annual returns), the funded ratio would climb to 85% by the end of 2015 and 98% by the end of 2016. Under a pessimistic forecast (4.06% discount rate at the end of 2015 and 3.46% by the end of 2016 and 3.3% annual returns), the funded ratio would decline to 82% by the end of 2015 and 75% by the end of 2016. A consortium comprising Canada Pension Plan Investment Board (“CPPIB”), OMERS and Ontario Teachers’ Pension Plan (“Ontario Teachers'”), together “the Consortium”, has announced that they have signed an agreement to acquire Skyway Concession Company LLC (“SCC”) for a total consideration of US$2.8 billion. SCC manages, operates and maintains the Chicago Skyway toll road (“Skyway”) under a concession agreement, which runs until 2104. CPPIB, OMERS and Ontario Teachers’ will each own a 33.33% interest in SCC and contribute an equity investment of approximately US$512 million each. The transaction is subject to regulatory approvals and customary closing conditions. George Osborne, the UK Chancellor of the Exchequer, today announced that from April 2015 individuals will have the freedom to pass on their unused defined contribution pension to any nominated beneficiary when they die, rather than paying the 55% tax charge which currently applies to pensions passed on at death. This policy will be scored at the Autumn Statement and is expected to cost around £150m per annum. One in five Brits admit they are planning to “work until they drop” in order to have a comfortable retirement, a new study by insurance company Aviva reveals. Researchers found worries about being able to afford their “ideal retirement” means millions of over 40s are expecting to carry on working until they physically can’t continue. Others are concerned about simply paying their day-to-day bills without the regular income from employment coming in. A further three in ten expect to continue working until at least a few years past the state retirement age. 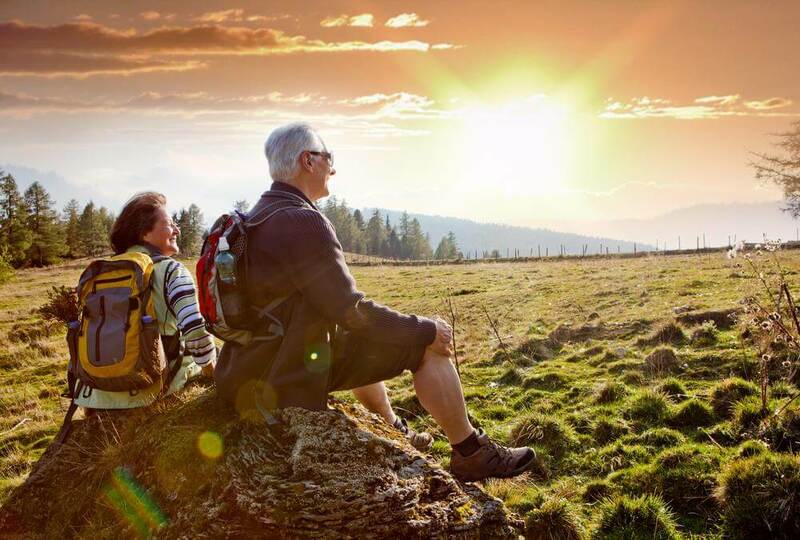 Clive Bolton, managing director of retirement solutions at Aviva, said: ”For many, their retirement is a time they are looking forward to, whether it’s to get away from the pressures of work or simply having more time on their hands. ”But worryingly, it seems there are a large number of people who are so concerned about what their financial situation is going to be like, they are beginning to consider the possibility that they will always be working. ”I’m sure there are a small number of people who simply don’t want to give up work, but most would rather spend their retirement doing what they want to do, rather than continue to work. ”And while some will be working to ensure they have enough money to have the kind of retirement they are hoping for, it seems there are some who will still be getting up every day to go to work simply to pay the bills. ”Your state pension is unlikely to cover everything you want to do during your retirement and cover unexpected expenditure, so it’s important to have some kind of financial plan in place to provide additional funds to give you some breathing space. The study of 2,000 over 40s found that while the average adult would like to retire around the age of 60, one in five believe they will be working right until the bitter end. More than three quarters said they are worried about being able to afford all they have planned during their retirement. Another 64% are concerned about simply paying for day-to-day living costs. But despite these fears, around three in ten over 40s have no plans in place to fund their retirement. Even of those that have a financial plan, 64% admit it’s probably not going to be enough to do everything they want to do. And almost two thirds of those surveyed wish they had started to plan for their retirement much earlier. Latest figures show that in the past year alone almost 145,000 people have used the service to locate those long forgotten pensions. This is more than double the number who used the service in 2010, with numbers rising year on year. By 2018 all employers will have to provide a workplace pension and with the average person having 11 jobs in their lifetime this could lead to 50 million dormant and lost pension pots by 2050. The government announced last year that it was introducing a system whereby if you move job your pension pot moves too. The ‘pot follows member’ system will mean that any pots of less than £10,000 will automatically move with them. Minister for Pensions Steve Webb said: “With the new flexibilities announced at the Budget it is now even more important that people can access all of their pension saving. People who have already lost touch with a pension can use our free tracing service to track down their fund and many more are. The Pension Tracing Service helps individuals to find occupational and personal pensions that they have lost track of. 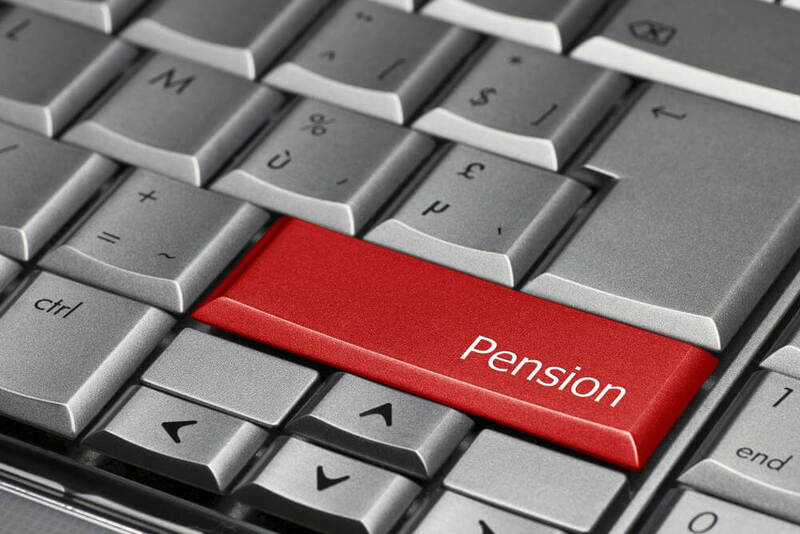 It uses a database containing information on more than 200,000 pension schemes. The free service provides contact details of the potential scheme administrator to enable customers to make subsequent enquiries. Mercer’s Pensions Risk Survey data shows that the accounting deficit of defined benefit (DB) pension schemes for the UK’s largest 350 companies increased significantly during April. According to Mercer’s latest data, the estimated aggregate IAS19 deficit for the DB schemes of FTSE350 companies stood at £111bn (equivalent to a funding ratio of 84%) at 30 April 2014 compared to £102bn (equivalent to a funding ratio of 85%) at 31 March 2014. At 30th April 2014, asset values stood at £575bn (representing an increase of £4bn compared to the corresponding figure of £571bn as at 31 March 2014), and liability values stood at £686bn (representing an increase of £13bn compared to the corresponding figure at 31 March 2014). As at 31 December 2013, pension scheme deficits stood at £96bn corresponding to a funding ratio of 85%. 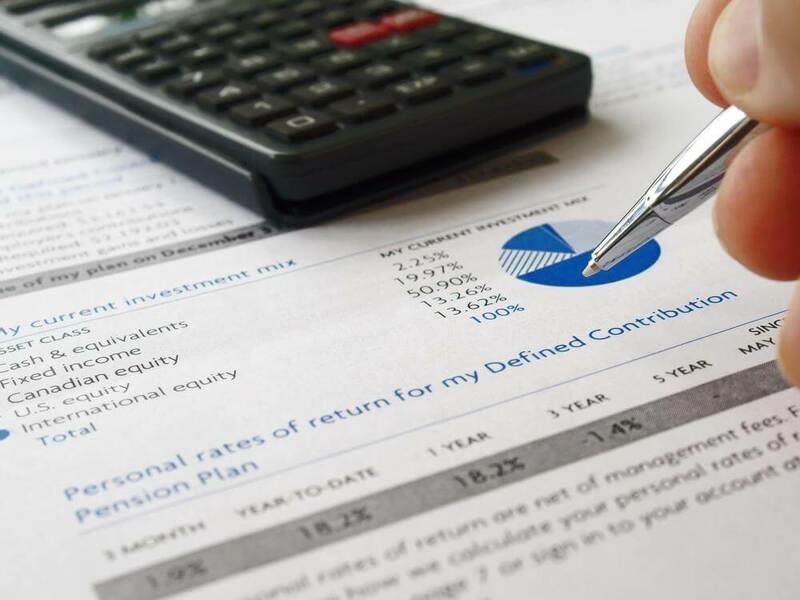 “It is disappointing that despite more than a 3% increase in the FTSE100 over April, pension scheme deficits still increased so significantly,” said Ali Tayyebi, Senior Partner in Mercer’s Retirement Business. “The driving factor was a significant increase in liability values which in turn resulted from a small reduction in long dated corporate bond yields, combined with a small increase in the market’s expectations for long term inflation. “Despite the historically high deficit as at 30 April 2014, the three key drivers of the pension scheme deficit on the balance sheet, namely: corporate bond yields, market implied inflation and the FTSE 100 index, have all individually been at even more unfavourable levels over the last 12 months. “This is a sobering thought for those inclined to assume that financial conditions are bound to get better and might therefore be deferring risk management or deficit correction actions on that basis,” added Tayyebi. 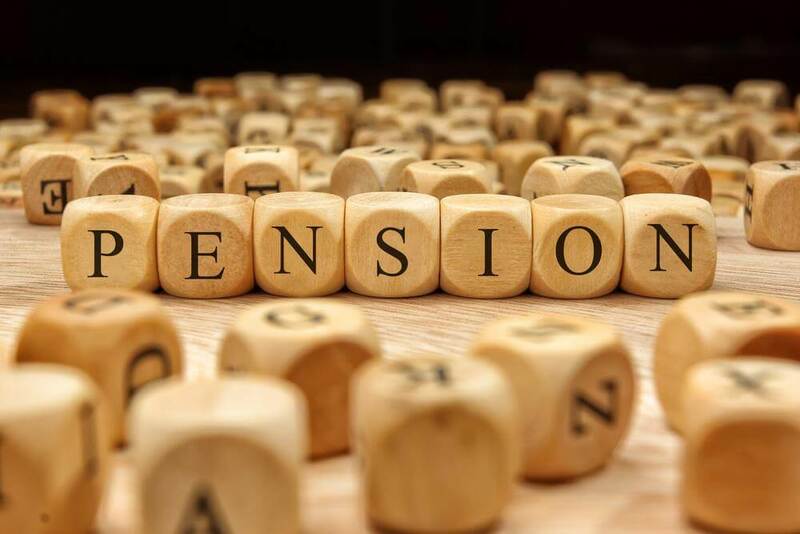 “According to the most recent data available from the Office for National Statistics , UK Companies contributed £63bn to UK pension schemes in 2010, and will likely have seen further increases since 2010. This is up from £25bn in 2000. It is clear that despite this increase in contributions funding levels are not improving. Companies and trustees need to explore other ways of controlling costs, managing risk and discharging liabilities. Companies that execute this efficiently will put themselves at a competitive advantage,” said Adrian Hartshorn, Senior Partner in Mercer’s Financial Strategy Group. Mercer’s data relates only to about 50% of all UK pension scheme liabilities and analyses pension deficits calculated using the approach companies have to adopt for their corporate accounts. The data underlying the survey is refreshed as companies report their year-end accounts. 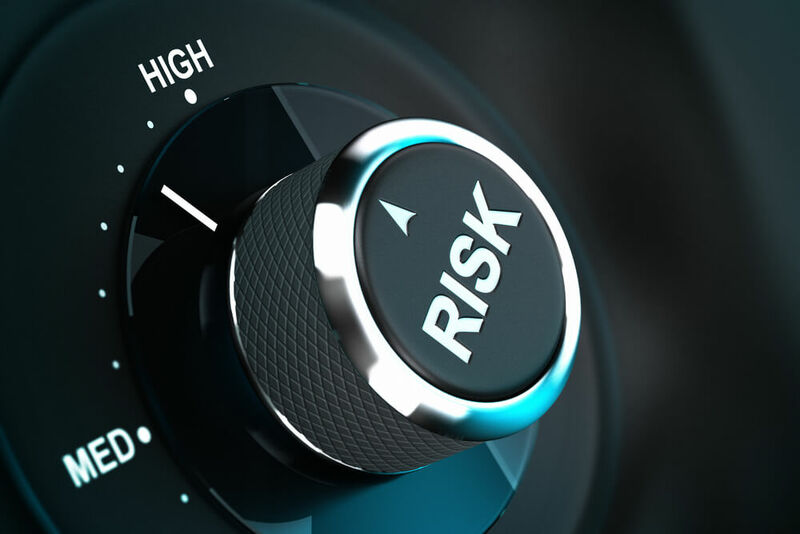 Other measures are also relevant for trustees and employers considering their risk exposure. But data published by the Pensions Regulator and elsewhere tells a similar story. 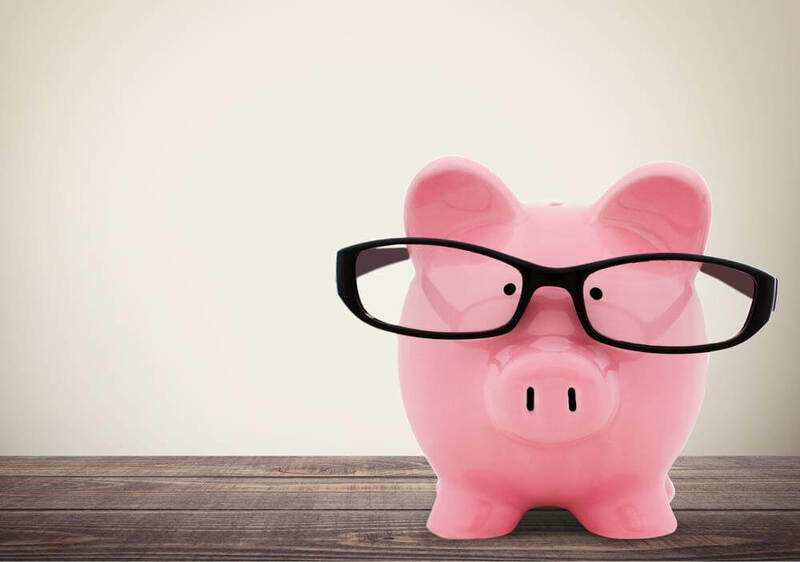 Advisers are largely optimistic about the proposed savings and pension reforms and the advisory market in general, according to the latest Adviser Barometer from Aviva. A growth in the number of customers receiving advice, together with an increase in adviser firms looking to hire new staff provides clear signs of positivity in the market. The study of more than 1,500 advisers found that almost two thirds (64%) claim to have seen an increase in the size of their “active” client base, which is a significant increase from 28% in September 2013. The bulk of their clients are new to the market (43%) rather than former clients of other advisers (34%). There also appears to be potential for growth in the size of adviser firms, with 35% of advisers expecting to hire new staff in the next year, and only a small minority (4%) thinking of leaving the industry. The majority (86%) of advisers think the proposed package of savings and pension reforms will have a positive effect on the advice market, and almost a half (46%) say they are likely to offer a broader range of products to their customers. At least four out of five advisers predict they will see an increase in demand for advice amongst those aged 55 and over. However, regulatory fees and levies remain the biggest concerns for the largest proportion of advisers (48%), with professional indemnity costs (43%) and ‘remaining profitable’ (42%) running close behind. Andy Beswick, Aviva’s intermediary director, retirement solutions, said: “After the retail distribution review (RDR), the savings and pension reforms announced at this year’s budget are the biggest change to happen in the advice market in recent years and this has presented advisers with some interesting opportunities. “What our research has identified is a clear shift in advisers’ attitude in the last six months. There appears to be an upturn in the number of advisers joining the market, growth in the number of ‘active’ clients being serviced, and a real expectation that there will be an increase in demand for advice amongst those in the over 55 age group. A growing number of advisers are already looking to broaden their range of services to meet their customers’ changing needs in this new era. “Clearly, advisers still have concerns about regulatory fees and levies, but despite this the results of the latest survey show the most optimistic picture for the advisory market since we started tracking adviser opinions in 2009. Nearly two-thirds of yet-to-retire Brits (62%) say they think giving people more choice and flexibility in how they take their retirement income is a good idea, according to research from Aviva. Awareness about the retirement income changes announced in this year’s Budget is high, with 80% of people saying they have some level of knowledge of them. In the 2014 Budget, the government announced it planned to give people more freedom in how they take their retirement savings, and from April 2015 people aged over 55 will be able to take their defined contribution pension savings as they want, subject to their marginal rate of income tax. Just over a half (52%) of those asked in the Aviva research think people can be trusted to spend their retirement savings wisely. And there is strong support for having control over their finances (63%), which will allow them greater freedom to do what they want with their money (67%). Despite support for the changes, 61% of people say that as the pension rules are relaxed, individuals will need to show greater restraint in coming years to avoid spending all of the money earmarked for their living costs. Nearly a quarter (22%) say they do not feel their retirement income will last for the whole of their lifetime, and 42% say it will last while they are still active. But a third (34%) feel their savings will last for the whole of their retirement. Men are much more likely than women to be confident that their money will last their lifetime (41% vs. 27%). In addition, 27% say they do not worry about their finances and 31% say they just live for today. When it comes to guidance and support on their retirement plans, just under half of people say they turn to friends and family (45%), with women more likely than men (52% vs. 45%). Pension providers also rank highly (33%) together with independent financial advisers (28%) and the Pensions Advisory Service (24%). While more than a quarter (28%) of people say they have enough knowledge to be able to make the right decisions about their retirement, 41% say that although they have some knowledge they would benefit from further help, and 30% admit they are lacking in their understanding. Women are more likely than men to say they have a lack of knowledge (39% vs. 23%). Being close to retirement is also an indicator of how well informed people feel about the changes, with those retiring in the next year saying they feel confident about their level of knowledge (72%). For more information visit Aviva’s Retirement Centre at Aviva’s Retirement Centre HERE. deVere United Kingdom has today launched its Workplace Solutions division. This new department within deVere United Kingdom, the UK arm of deVere Group, one of the world’s largest independent financial advisory organisations, will provide whole of the market advice to current and former employees of larger corporations on their workplace pension schemes in order to help them meet their long-term financial objectives. Responsible for overseeing the development of deVere’s Workplace Solutions is Mitch Hopkinson, deVere United Kingdom’s Head of East Midlands. Commenting on the launch, Mr Hopkinson, says: “This new division has been established because there has been a tide shift in traditional retirement planning methods in the UK, which requires a fresh approach. He continues: “We are coming to the marketplace with a team who have a wealth of top-level experience in this field, having worked with major multinationals, including leading automotive and pharmaceutical companies. We have cumulatively advised more than 30,000 individuals on their workplace pension arrangements. Therefore, we might be entering this market as a new unit, but individually our people are already proven experts in the sector. Mr Hopkinson notes: “The hot topics that will dominate our Workplace Solutions conversations with current and former employees are regarding existing final salary benefits when given options to alter them, and how best to approach retirement in light of the changing landscape of more flexible retirement options. “For example, some employers will offer Pension Income Exchange where members decide on exchanging annual increases for a larger initial income. This might sound a good deal, but there are many things to take into account. Once we consider inflation and life expectancy, for example, it might not be the best solution. What is an absolute must though is access for the member to good independent advice – that can be trusted. “It should be remembered that these options are often designed to reduce liabilities and lower future funding amounts which may mean that the individual – who is a liability of the scheme – could see benefits reduced if they enjoy a long retirement and inflation stays above trend. “Money Purchase Schemes are now the most common form of funding retirement, this is where the member and employer will pay into a fund that is invested. It should be noted that because these schemes are solely dependent on investment returns there is no obligation on the company to make up the difference should there be poor performance. Therefore all the risk is placed upon the member and is not shared by the company. Mitch Hopkinson concludes: “Workplace Solutions is designed with today’s working age population in mind. Naturally, these people will be of different ages; career levels and retirement planning knowledge and they will certainly have diverse requirements. 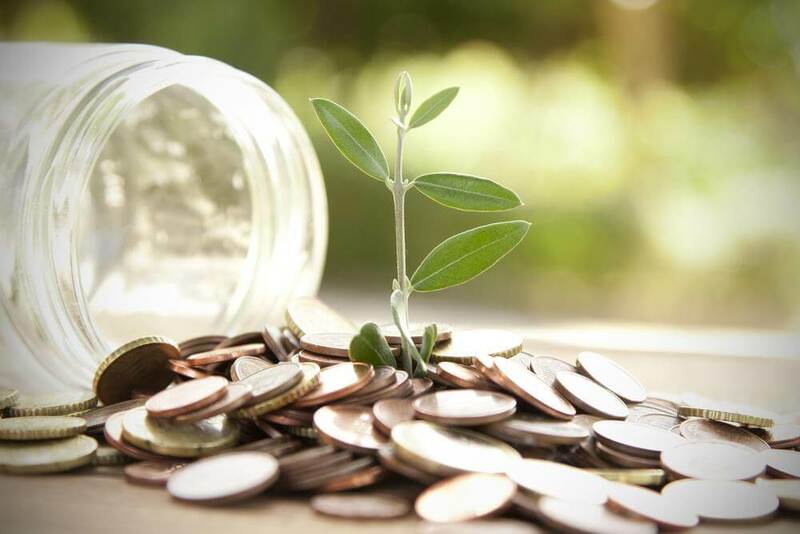 The UK annuities market could decline by up to 75% after the recently announced changes to compulsory annuity purchase come into effect, according to PwC analysis supported by a new consumer survey. 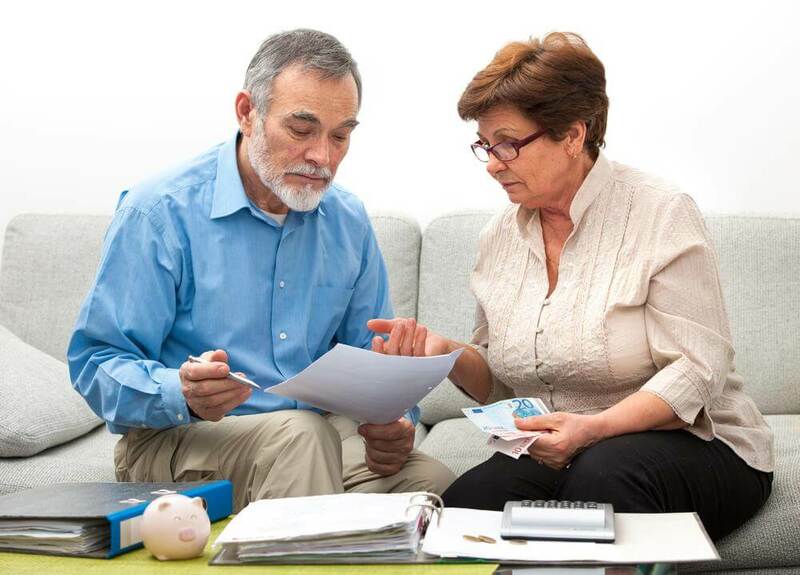 The survey, which looks at consumer behaviour of people aged 50-75, reveals that 63% of consumers have or intend to ask for financial advice from an IFA on how they will access their pension pot. With half of respondents having pension pots of under £40,000, this questions the affordability of advice, and IFAs may not be able to provide value for money for small pension pots. Results also show that the most important factors for consumers deciding how to manage their pension pot are having the certainty of a guaranteed income for life, followed by tax efficiency. Having a simple and understandable product ranked surprisingly low, just higher than dependants having security after death, which respondents considered their lowest priority. “It was clear that life insurers were in for a shake-up following the recent annuity announcements, but our survey quantifies the scale of the effect on the life industry. People still want to invest a small part of their pension pot in an annuity, but it’s crucial that insurers offer innovative new products to satisfy their customer demands and to fill the hole left by up to a 75% fall in annuity sales. “63% of consumers have or intend to ask for financial advice from an IFA on how they will access their pension pot, which is likely to account for the low ranking in importance of having a simple product. However, the key point here is that many consumers may not have a big enough pension pot to justify significant advice fees, particularly as since the Retail Distribution Review came in last year IFAs now have to charge fixed service fees to customers. What we will see is an advice ‘black hole’ – a supply gap between what consumers want and what they can get. The Government’s free guidance will no doubt have its limits, and consumers will turn to their product providers for help in deciding what to do. 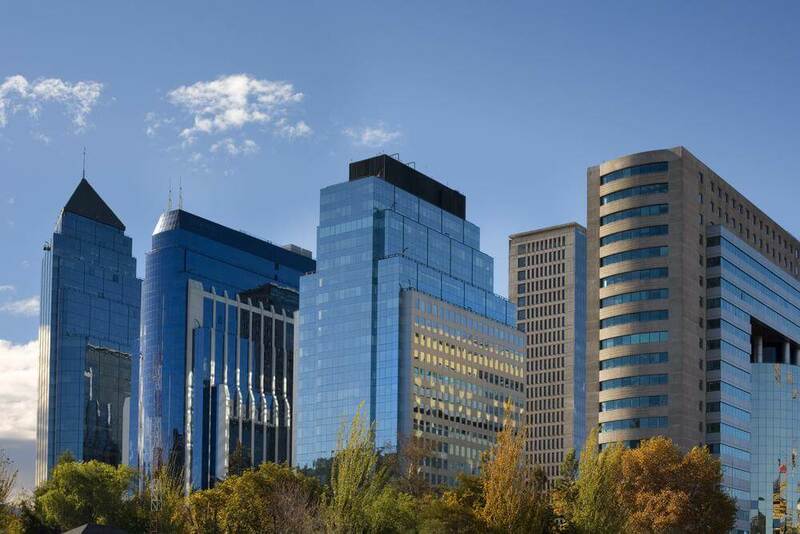 The Latin American pension system has grown to more than US$900bn in assets under management, according to new research from global analytics firm Cerulli Associates. In their Latin American Distribution Dynamics 2013: Closed Markets Begin to Mature and Open report, Cerulli analyzes distribution and product development trends in the six key local mutual fund and pension fund markets–Brazil, Mexico, Chile, Colombia, Peru, and Argentina. To the credit of the pension managers themselves, performance, global expertise, and on-going support have been the most-sought-after characteristics when choosing among cross-border managers. “There has been a flurry of merger and acquisition activity in the pension space in Latin America, beginning in the last quarter of 2012,” Czarnowski continues. Cerulli’s research finds that the compulsory fund systems from Mexico to Chile are doubling in size every five to six years. As they amass large sums of assets, it will be imperative for them to channel greater percentages of their assets outside of their borders. 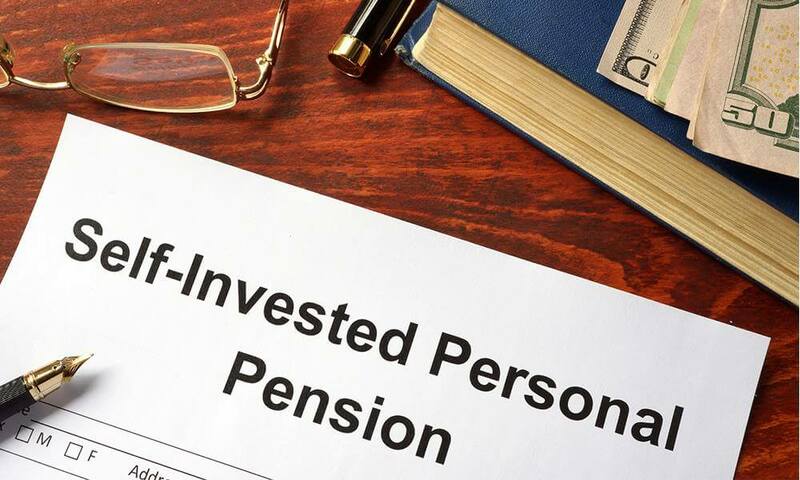 One in seven (14 per cent) of those planning to retire this year has made no personal pension provision and will be either totally or heavily dependent on the State Pension, according to research by Prudential1. The insurer’s seventh annual ‘Class of’ study, tracking the future plans and aspirations of people who plan to retire this year, shows that in the Class of 2014 women are nearly three times more likely to rely on the State Pension than men – 20 per cent of women say they have no pension savings compared with seven per cent of men. The reality of many people’s reliance on the State Pension is underlined by the research, which shows that nearly one in five (18 per cent) of those planning to retire this year will have an income below the Minimum Income Standard as defined by the Joseph Rowntree Foundation (JRF)2. JRF estimates that a single pensioner needs an income of at least £8,600 a year to reach a minimum socially acceptable standard of living; a retired couple needs an annual income of more than £12,500. The Prudential research also highlights the importance of the State Pension to people planning to retire this year. On average it makes up 35 per cent of an individual’s total expected retirement income, which is the same proportion on average that is expected to come from company pension schemes. Women are more reliant on the State Pension than men – on average the State Pension makes up 42 per cent of women’s expected retirement incomes compared with 28 per cent for men. Also, Women have less company pension scheme income than men – it makes up 27 per cent of women’s expected retirement incomes compared with 42 per cent for men. Despite the widespread reliance on the State Pension, there is confusion among those planning to retire this year about how much the State Pension is worth for an individual. Nearly two in five (39 per cent) either have no idea what the State Pension is worth or think it is worth more than the £113.10 a week payable from April 2014. Around one in six (17 per cent) overestimate the value of the State Pension by at least £880 a year. Vince Smith-Hughes added: “It is also important to avoid falling into the trap of overestimating the contribution that the State will make to your retirement income, as the State Pension alone is barely sufficient. Across the country people expecting to retire this year in the North East and South West are the most likely to rely on the State Pension (20 per cent with no other pension). In contrast, those in the North West will be the least reliant, with just eight per cent entering retirement without any private pension savings. 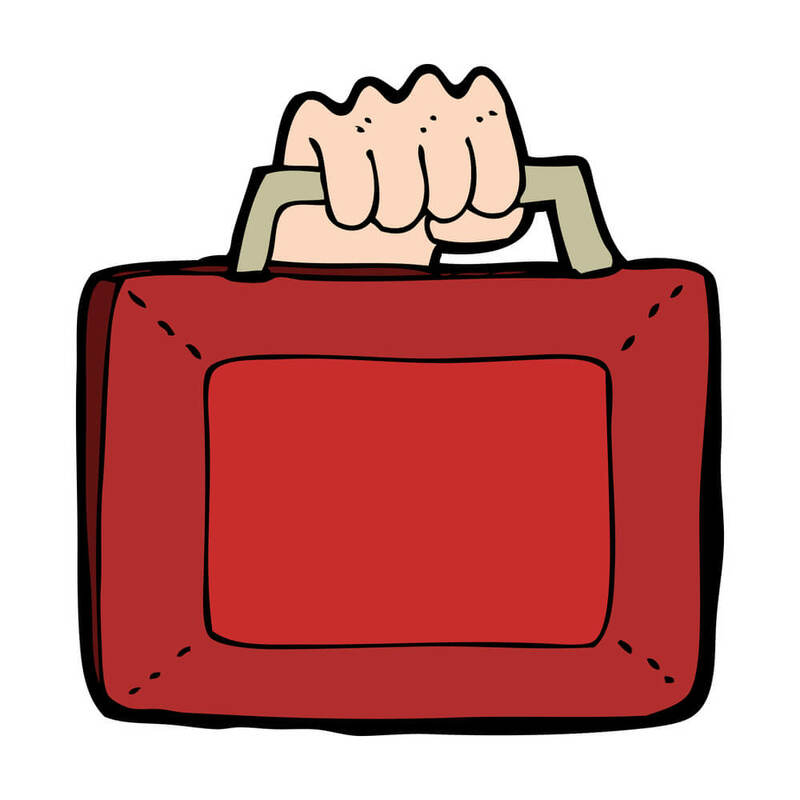 Mr Green observes: “It was a budget in which there were several headline-grabbing pension policies annoucned, but scratch the surface and it was more style over substance. “For instance, the scrapping of restrictions on pensions access will be a policy that will have little real appeal to the vast majority of people. This is because accessing a pension will be taxed at the individual’s highest marginal rate of income tax – which for anyone with total UK income (including salary, rental and investment income) over £31,866 will be 40 per cent and 45 per cent on all earnings over £150,000. Regarding the Chancellor’s much lauded budget pledge that “no one will have to buy an annuity,” Mr Green notes: “The requirement to purchase an annuity was actually removed in the 2011 budget and people could opt to take income drawdown instead. However, despite this change the number of people taking annuities remained relatively unchanged. Despite insisting that these two highly-publicised changes to pension policy will do little to alter most people’s long-term financial strategies, there is one area of pension planning which is set to be impacted from the Chancellor’s statement, according to the deVere Group CEO. Mr Green explains: “To my mind, the primary change for our industry is that civil service pensions will not be able to be transferred outside of the UK unless there are ‘exceptional circumstances’. “The government’s reasoning behind stopping civil service schemes transferring is that they are massively underfunded and they will be left with the debts. “Now that it has been admitted that their schemes are underfunded, an increasing number of civil servants will want to review their pensions options and take advantage of any alternative arrangements, such as QROPS (Qualifying Recognised Overseas Pension Scheme), that may currently be available to them, before the government disempowers them to do so. More than half of over-55s currently in the workforce are happy to work past the default retirement age of 65, according to new research from MetLife. 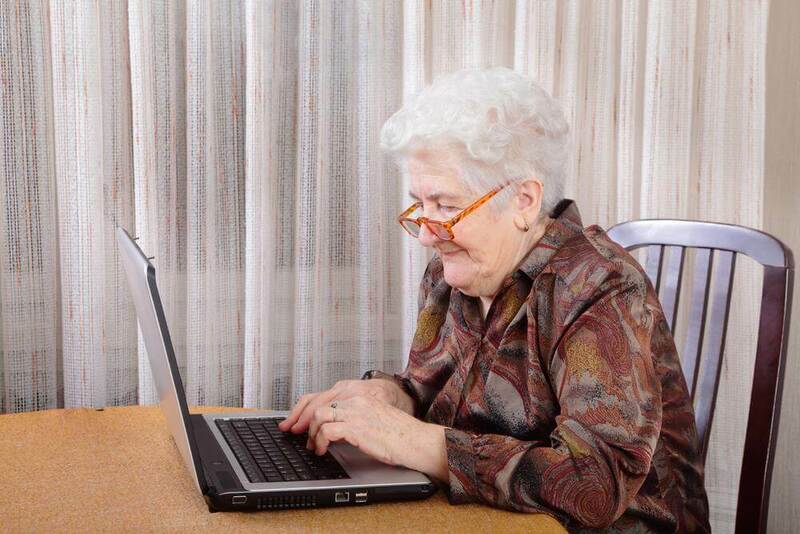 Its nationwide study found 54% of those aged 55+ who are currently in jobs want to keep working when they get to 65. However one in four want to reduce their hours and work part-time either in their current job or with a new employer. MetLife believes the demand for part-time work highlights the need for changes in retirement income solutions to enable people to adapt to new working patterns and reductions in income. Solutions could include the use of deferred income guarantees enabling savers to plan ahead for retirement guaranteeing a level of income. The nationwide study found nearly one in five (19%) of those aged 55+ regret not having taken financial advice on their retirement income planning while 29% say they have taken financial advice. However that leaves more than two-fifths who have not taken any advice. The research, which was commissioned as part of Dr Ros Altmann’s report ‘Pensions – Time for change’ sponsored by MetLife, underlines the need for new thinking on pensions. Dr Altmann’s report highlighted how retirement and pensions have not kept up with improvements in life expectancy and national health. “However the research also shows that people are not taking – or getting the advice they need to adapt. Sound independent financial advice is central to people’s ability to make the right retirement income choice. The Government is doing its best to promote long-term savings and the industry should encourage people to look beyond traditional solutions such as annuities when appropriate. 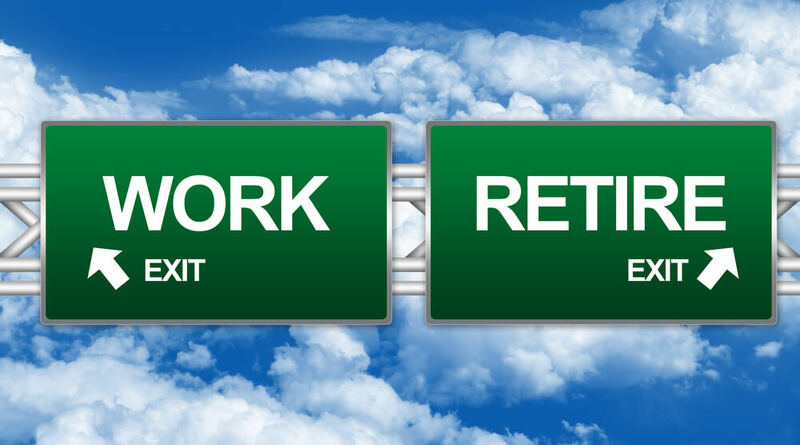 The MetLife research shows those aged 55+ who want to carry on working full-time overwhelmingly want to stay with their existing employer – more than 90% say they want to continue in their current job. However those who want to work part-time are more likely to switch to a new employer – nearly 60% would move to a new part-time role. MetLife passed the £4 billion assets under management milestone a year after hitting the £3 billion mark underlining the continued strong growth in the unit-linked guarantees market. Continuing expansion is being driven by the success of its new generation of guaranteed products offering market-leading deferred income rates of 4.25% and shorter capital guarantee terms. MetLife has seen rapid growth underpinned by its Managed Wealth Portfolios which have grown to more than £1.3 billion under management in just 12 months after launching the new funds in partnership with world-leading asset manager BlackRock. The dominance of diversified asset allocation strategies in the UK defined contribution pension default fund landscape has been underlined by an exclusive finding in Cerulli Associates’ institutional report, European Defined Contribution Markets 2013: Winning With a Targeted Approach. In the survey of European asset managers conducted for this report, two-thirds (66.7%) of managers expected diversified growth/asset allocation strategies to be the most popular choice, followed by lifestyle strategies (20%). Target-date funds, which have been launched in Europe by some US-headquartered investment managers, were mentioned by fewer asset managers (6.7%), but interest in this sector is expected to grow. Blended funds, with a significant portion of active and passive approaches, were also mentioned. “Getting one’s default fund strategy right is crucial for managers in the UK and Continental markets, because default funds take in the bulk of DC pension contributions,” said David Walker, associate director at Cerulli Associates in London. The CEO of one of the world’s largest independent financial advisory organisations expects a growing number of retirees to consider “higher risk-higher return investments” as a direct result of the Bank of England’s February statement that interest rates are likely to remain low until the end of the decade. 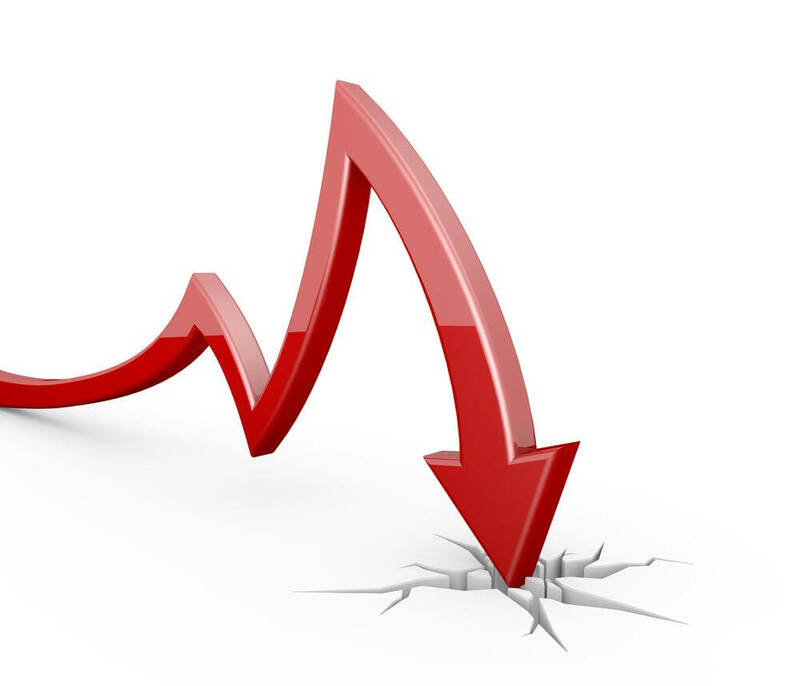 The comments from Nigel Green, founder and chief executive of deVere Group, follow Mark Carney’s assertion last month that rates will not rise from their historic lows for at least another year – and when they do rise, the increases are to be “gradual” and “limited”. The BoE governor also hinted that rates are expected to remain low – staying between 2 and 3 per cent – until around 2020. Mr Green comments: “The rock bottom interest rates are eroding people’s savings, which is reducing their spending power and limiting their financial options. “Therefore, the Bank’s raising of the prospect that interest rates are to stay low until the end of the decade is another hammer blow for retirees, and others living off a fixed income. “Tired of their cash holdings making them, in effect, poorer over time, I fully expect more and more retirees will turn traditional investment thinking on its head. 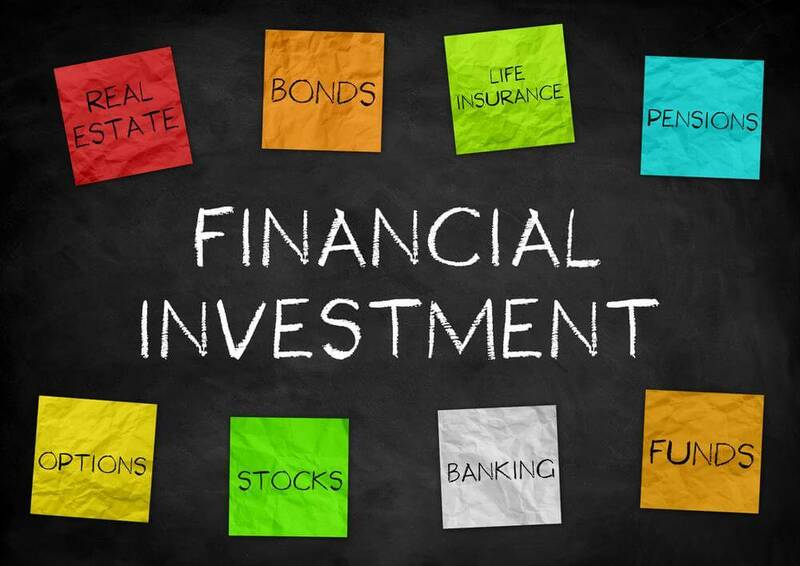 An increasing number will, I believe, consider higher risk-higher return investment opportunities as part of a well-diversified portfolio in order to be able to fund the retirement they want to enjoy. He adds: “Traditionally, the mindset has been that as we get older we should reduce our exposure to risk and, for example, increase holdings of cash and bonds. However, in today’s world this prudent intention could have serious unintended consequences. A survey of independent landlords has shown over 40 per cent are putting their trust wholly in property as their means for pension provisions. 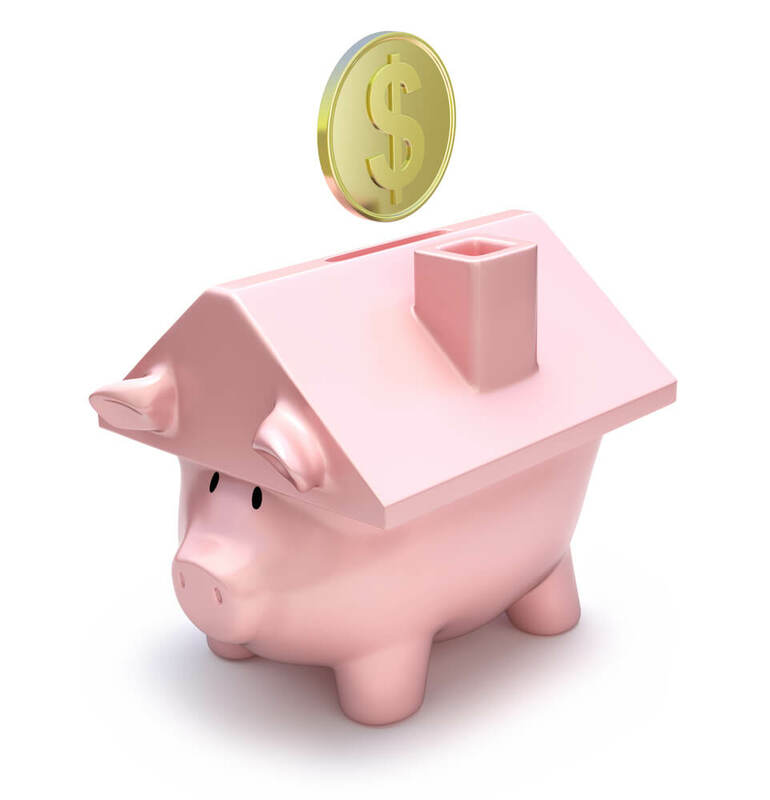 The survey of 879 property investors shows 42.4 per cent, with a further 49 percent using it as a major part of their income for their later years. 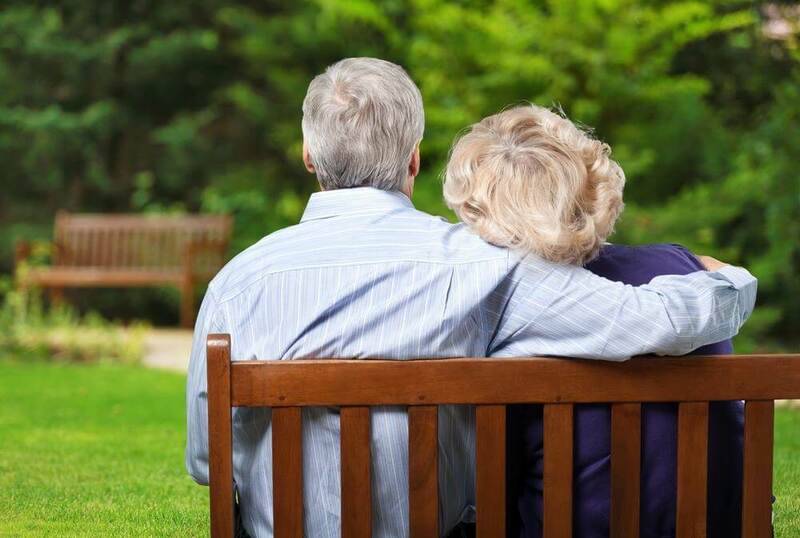 The findings by the Property Investors Network (PIN), comes less than a fortnight after the Financial Conduct Authority said millions of pensioners are getting a poor deal from the annuity market. “We have a situation now where there is an endemic loss of faith amongst traditional financial institutions, and the public believe that good old bricks and mortar remain the best way forward,” said Simon Zutshi, founder of PIN. Mr Zutshi, whose organisation hosts 41 property networking meetings each month across the UK, said the consensus amongst those involved in property investment is that it should be allowed the tax benefits given to other types of pension provision. The FCA said in its recent report that millions of pensioners were getting a raw deal due to poor annuities, with the regulator also highly critical of price comparison websites used by some people to buy an annuity, saying that every one of the 13 sites it looked at was guilty of poor practices. An annuity provides a regular income from the pot of money that a pension plan holder has accumulated during their working life. At retirement, an estimated 60% of people simply take the deal offered by their pension provider, even though they are entitled to shop around and make use of the so-called open market option. 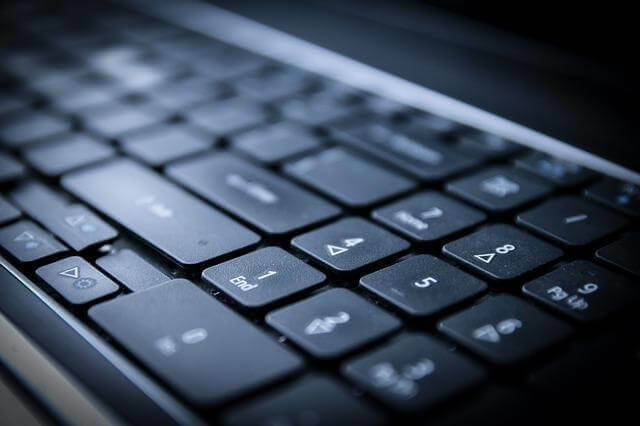 Private equity fund manager Calculus Capital has invested £2m – via its EIS Fund – into a digital administration services provider that is helping to deliver a low-cost revolution in the pensions, savings and investment industries. Through its proprietary technology platform, Quai provides white-label administration services for personal savings products at a fraction of the costs currently borne by traditional providers. Quai was established in 2011 by a team of former Legal and General, Brewin Dolphin and BNP Paribas Securities Services executives. The founders recognised that legislative and regulatory changes such as auto-enrolment, the Retail Distribution Review and the Solvency II Directive would fundamentally change the way wealth managers, insurers, banks and other pension and investment companies provide savings products to individuals. 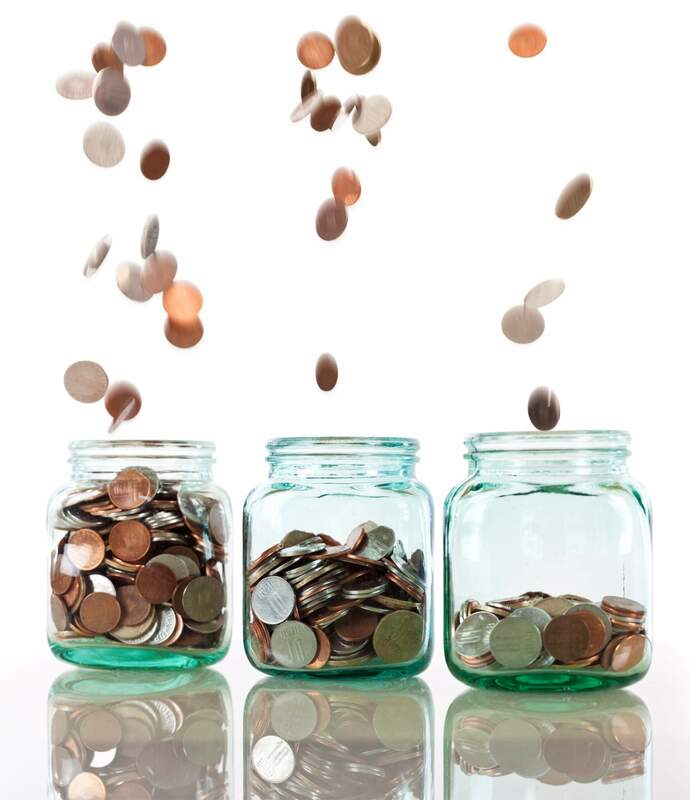 Mass distribution of individual savings plans, combined with the elimination of commission payments are forcing providers to offer high-volume, low-margin saving plans – a process that is being further accelerated by the proposed Government cap on pension scheme costs. However, the legacy systems of providers are increasingly unfit for the demands of this rapidly evolving landscape, driving a need for more advanced technology to reduce administrative costs, increase capacity and improve efficiency. Quai’s outsourced service is built on a proprietary technology platform incorporating a full service portfolio management system. It allows banks, insurance, pension and investment businesses to efficiently administer extremely high volumes of savings plans through automated systems, straight-through processing, online functionality and multi-currency individual and model portfolio management services. Ms McDonald adds: “Our investment should provide Quai with the breakthrough capital it needs to convert current levels of interest in its platform into signed contracts. The funding will support Quai in the completion of several deals with key UK financial institution that are keen to benefit from the company’s services as soon as possible. New research from Prudential has highlighted how attitudes to retirement are changing, with nearly one in four (23 per cent) people planning to retire this year saying they don’t feel ready to stop working altogether. Meanwhile 13 per cent of those who had been scheduled to retire have chosen to delay their plans because they don’t want to give up work just yet. 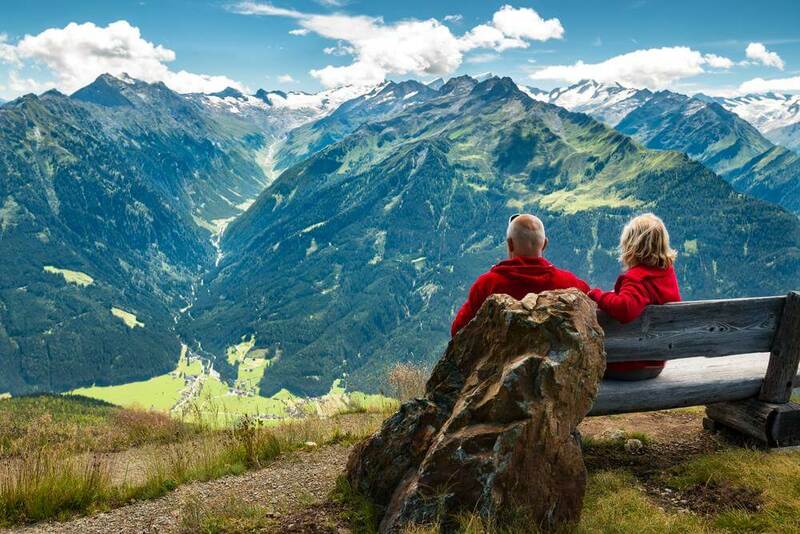 The research into the ‘Class of 2014’ is Prudential’s seventh annual study tracking the future plans and aspirations of people who plan to become new retirees this year. More than half (54 per cent) will consider working past the State Pension Age in an attempt to make their retirement more financially comfortable. Around a quarter (23 per cent) would consider working full-time while 31 per cent would weigh up the idea of working on part-time. Ideally they would prefer to continue in their current job with reduced hours, with 32 per cent of those considering working past the State Pension Age suggesting that option is the one that would suit them best. However, this year’s results highlight positive attitudes to retirement despite ongoing financial pressures. The main motivation for 57 per cent of this year’s retirees who would consider continuing to work past the traditional retirement age is to keep mentally and physically fit. More than a third (35 per cent) also cite the ability to boost retirement savings as a consideration, while 40 per cent simply enjoy working and 39 per cent don’t feel ready to retire just yet. 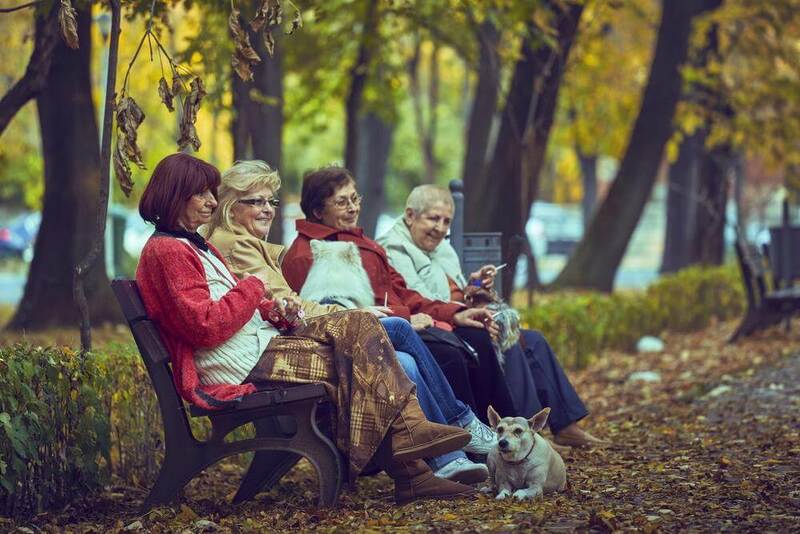 The study also found that the ‘Class of 2014’ are expecting a busy and enjoyable retirement – 53 per cent of those planning to retire this year intend to do more exercise, 37 per cent will be socialising more, while 36 per cent plan to take up voluntary or charity work. Around 29 per cent say they have no worries or concerns and are really looking forward to their retirement. Stan Russell, a retirement income expert at Prudential, said: “For many people retirement is now a gradual process rather than a watershed where you simply stop working one day and become retired the next, and that is reflected in the change in attitudes shown by our research. “However, there is no one size fits all solution to retirement and many people will be looking forward to leaving work as soon as they can. What is important is that people plan ahead for retirement and do as much as possible to ensure a comfortable retirement by consulting a financial adviser or retirement specialist well ahead of their planned retirement date.